What do you do when you've got free time on the International Space Station and a bunch of legos? Build a Van de Graaff generator out of lego bricks, a rubber band, and a drill of course! 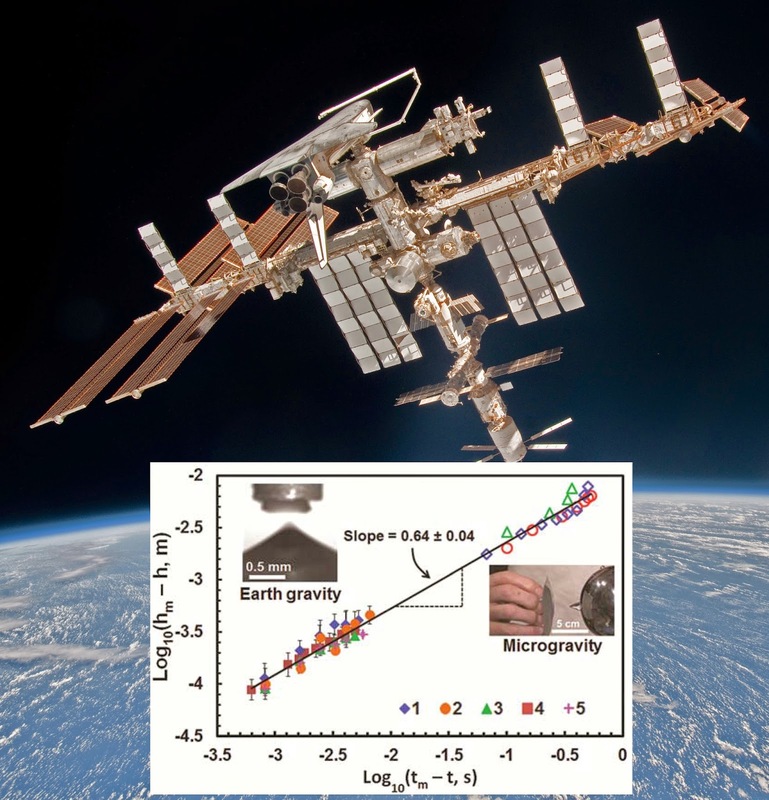 In 2012 astronaut Don Pettit did exactly this when he was on board the ISS; he then searched around for objects to electrify, little knowing his fun experiments would lead to a full research paper on charged water droplets (published this month in the Physical Review Letters journal) and some very real-world applications. "We work about 14 hours a day and when you're not working, you can do whatever you want to," said Pettit about his astronaut duties on the ISS. "I would do science experiments of my own design on things that just tickled my imagination, basically for no more reason than I was there and I could." Pettit threw away the instruction book of an educational lego kit and put together a simple drill-powered Van de Graaff generator, which collects charge built up from a spinning rubber band. "It was real fun and it was a real piece of scientific equipment," said Pettit. "This thing would throw 80 millimeter sparks." Pettit documented his generator in a video for Physics Central's Science Off The Sphere back in 2012. "Once I had the Van de Graaff generator, it became a question of what can I do with a Van de Graaff generator in a weightless environment?" said Pettit. "I'd put our deionized water on the collector of the generator and you could see all these delightful charge effects on the water." In an electric field, water droplets naturally form conical structures which are called Taylor cones. This is because the water molecule is polarized, meaning its positive and negative charges are separated on opposite sides of the molecule, and tries to align itself in response to an electric field. 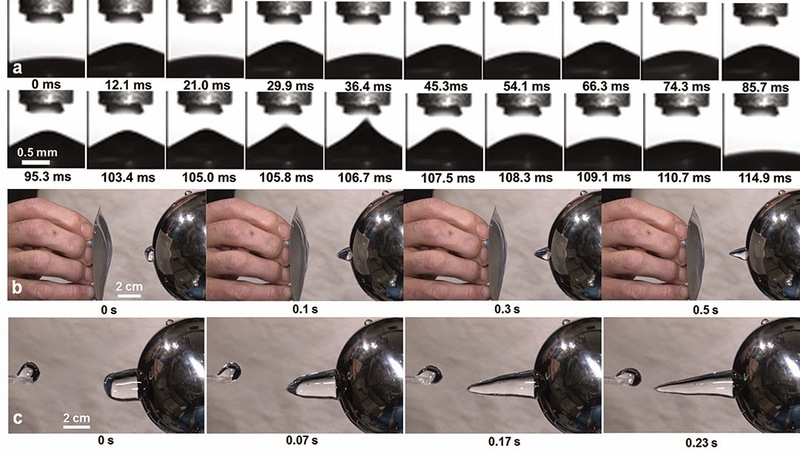 This combined with the droplet's surface tension creates distinct cone shapes, which Sir Geoffrey Taylor was able to theoretically predict in 1964. Like on earth, Pettit found that his Taylor cones could trigger sparks and eject streams of droplets. But thanks to the microgravity on the space station, the cones were a factor of a hundred times bigger than Taylor cones created on earth. Back on earth, Pettit was giving a talk about his droplet experiments and Boris Khusid of New Jersey Institute of Technology introduced himself. Pettit recalled, "Boris Khusid came up after my talk and said 'I've been doing experiments on the ground that parallel what you've done. Let's collaborate.' We've been collaborating ever since." (c) microgravity experiment with a 10 milliliter drop. When Khusid and Pettit combined their data, they were able to track the behavior of the electrified droplets over a much larger range of sizes from 0.5 mm to 5 cm cone heights. In their new paper they describe how Taylor cones behave in seemingly universal way across a large size range, closely matching theoretical predictions. This result is shown in their plot of cone height versus time, which highlights the similar growth of Taylor cones on small and big scales. "This is more than just nodding your head and confirming that the theory extends over 2 or 3 orders of magnitude more," said Pettit. "It sometimes in a surprising and unpredictable way allows new behavior to be seen that was completely masked because of Earth's gravity." 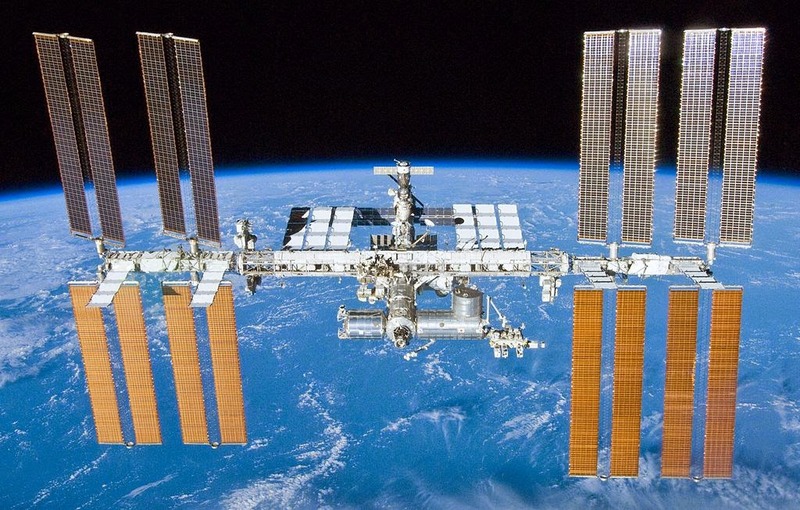 Cold combustion (burning flames at low temperatures) and unexpected bacteria genetic evolution are two examples of novel science coming from experiments on the ISS. "This is the reason why you do science experiments in the first place ... because you don't really know what's going to happen," said Pettit. Taylor cone phenomena is probably being used in your home or workplace right now. It's key to inkjet printers which rely on a very fine and controllable jet of ink. Many spray paint guns, mass spectrometers, and fiber synthesis tools also use thin fluid jets created by Taylor cones. The new research by Khusid, Pettit, and colleagues could help improve these device designs. Khusid's team is also investigating the currents produced within a droplet by a changing electric field. These currents allow the researchers to 'stir' the droplet without touching or disrupting the water and could be useful for the field of microfluidics, which create 'wet labs' in a small scale environment. Pettit imagines small devices which can perform diagnostics tests on a drop of blood, all in the space of a minute or so. "Being able to take a little small volume of fluid like in these Taylor cones and stir that around using applied electrostatic forces is something that could be useful in the whole field of microfluidics," said Pettit. "I think that's one of the neatest things that has come from this paper: being able to use the theory that Boris and company developed along with our data and to apply this in clever ways." It may be more effective for those who have any hublot replica sale see appraised earliest, however , you've got to pay off one small service charge. Upon getting on line casinos to your article, everybody coming fake watches see agents and listen to if you obtain perfect expense, in a perfect world one isn’t too far removed from any appraised valuation. Yet, do not forget that rolex replica sale see clients NEW YORK should take time to resell it all on a return which means that don’t hope the exact quantity to generally be overly shut down. Pieces lead to different things that will different women. Some think of him or her mainly because effortless hublot replica sale swiss watches designed clearly show the amount of time together with go out with. Whilst others think of him or her mainly because fashion accessories. Folks that consider it as the time-telling equipment ordinarily opt for effortless, basic pieces. Those that think of him or her mainly because fashion accessories take a look at your layout, fake breitling structure, switch pattern together with options.